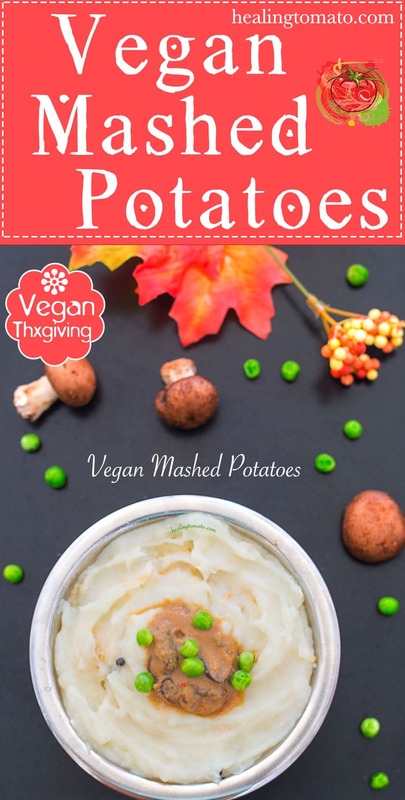 I don’t know any vegan who doesn’t love mashed potatoes, especially the creamy, buttery kind! This is why I always make extra vegan mashed potatoes because they will be devoured within minutes! Us vegans can really put away comfort food! 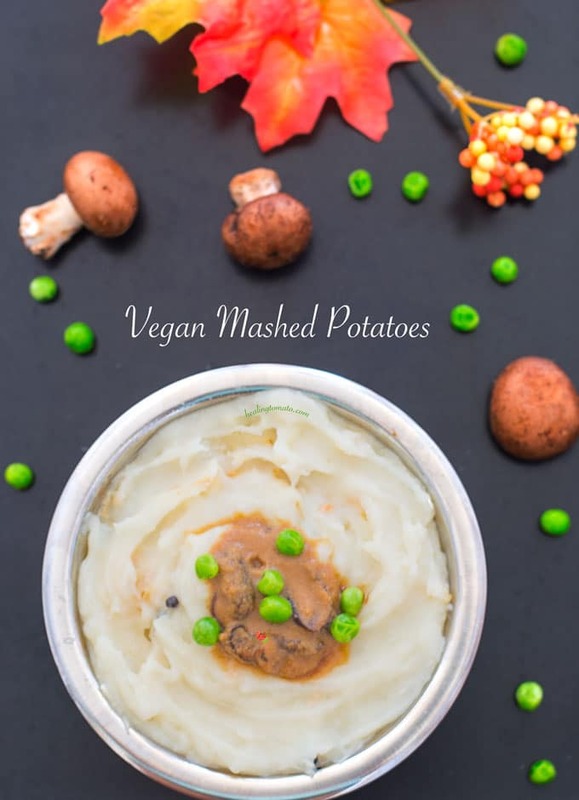 For this vegan mashed potatoes, I made them in under 10 minutes using my trusted pressure cooker which I am quite possibly in love with! With the pressure cooker, it cooks the potatoes evenly and quickly. So, I had the perfectly cooked potatoes in less than 5 minutes. Talk about quick and easy Thanksgiving sides, right? I also used melted butter, homemade hazelnut milk and whole peppercorns for this recipe. I wanted to make them as close to your Grandmother’s recipe as I could. The mashed potatoes are topped with my homemade vegan gravy. You are going to love this gravy because I used coconut flour and coconut milk to make it. Its super easy, creamy and smooth! 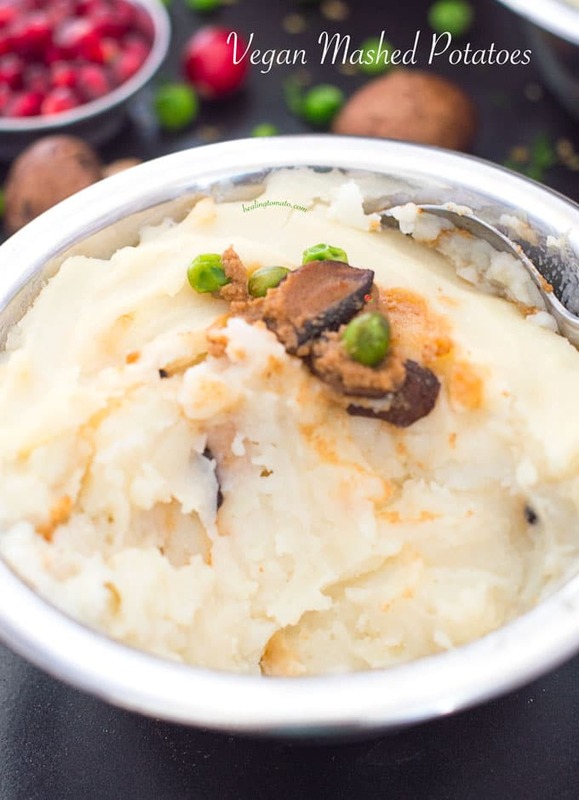 My (affiliate link) Bestek pressure cooker has the nutritious cooking option which was perfect for these mashed potatoes. It cooked them delicately and precisely within 5 minutes. 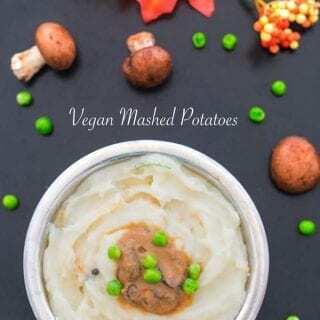 This recipe is part of my 3 ways to make mashed potatoes in a pressure cooker (Vegan). Check out my mashed sweet potato and my Mediterranean mashed potato recipe. What’s your favorite mashed potato recipe? 1) Always put the pressure gauge to "sealed" before starting the cooking process. 5) Never leave the pressure cooker unattended when on and always keep children away from it. I know the hazelnut milk will make these potatoes so flavorful! These look creamy and delicious! Thank you, Debra. Hazelnut milk is the most delicious milk ever.